In the past few months, I have found a number of supplements and hacks to help me maximize my sleep. One of my favorites is Onnit’s New Mood, a supplement I use not only to help me with sleep, but also to help me deal with high-stress situations, like travel. 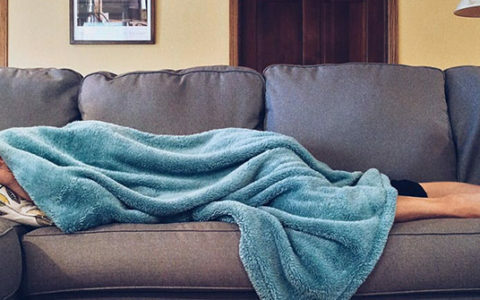 Looking for the best way to optimize my days, and take full advantage of a restful night’s sleep, I decided to give another one of Onnit’s products a try. A friend of mine had recommended Alpha BRAIN a number of times, and after reading the description of the product on their site, I decided to give it a try. Manufacturer Onnit claims Alpha BRAIN can have an effect on lucid dreaming, and this particular friend swears they get better sleep when they take Alpha BRAIN. A nootropic, designed to optimize cognitive health and performance. Clinically studied to help healthy individuals support memory, focus and processing speed. Vitamin B6 (Pyridoxine HCI) – 10mg — Vitamin B6 is a water-soluble essential vitamin, involved in the production of neurotransmitters. Studies show that when taken in conjunction with Magnesium, B6 improved school attention in children diagnosed with ADHD. L-Tyrosine — This amino acid is well-linked to improving cognitive performance under conditions of stress. It has also been shown to actually reduce symptoms of stress itself, likely because it is involved in the production of dopamine. L-Theanine — An amino acid known to have calming effects without inducing sleepiness. Oat Straw Extract (Avena Sativa) — This herbal extract is used as a cognitive performance enhancer. It works by affecting both neurological stress and exhaustion. Phosphatidylserine — A phospholipid essential to maintaining healthy nerve cell membranes, it supports cognitive function, and the ability to learn and recall new information. 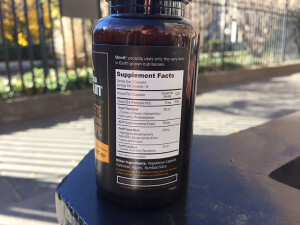 AC-11 (Uncaria tomentosa Extract) – 350mg — This is Onnit’s proprietary Cat’s Claw Extract. Cat’s Claw has been studied for its DNA repair and antinflammatory properties. 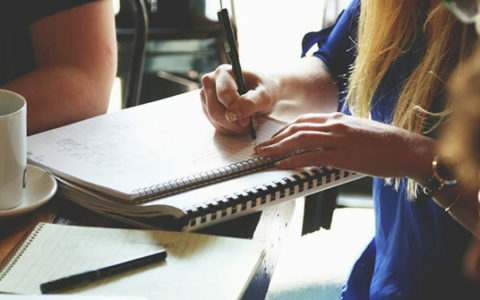 L-Alpha glycerylphosphorylcholine (Alpha GPC) — A vital compound in neurotransmission, and research suggests many Americans don’t get enough from their regular diets (in fact, choline-based nootropics are increasingly common, and some of our testers have experienced enhanced memory and focus simply from supplementing choline). 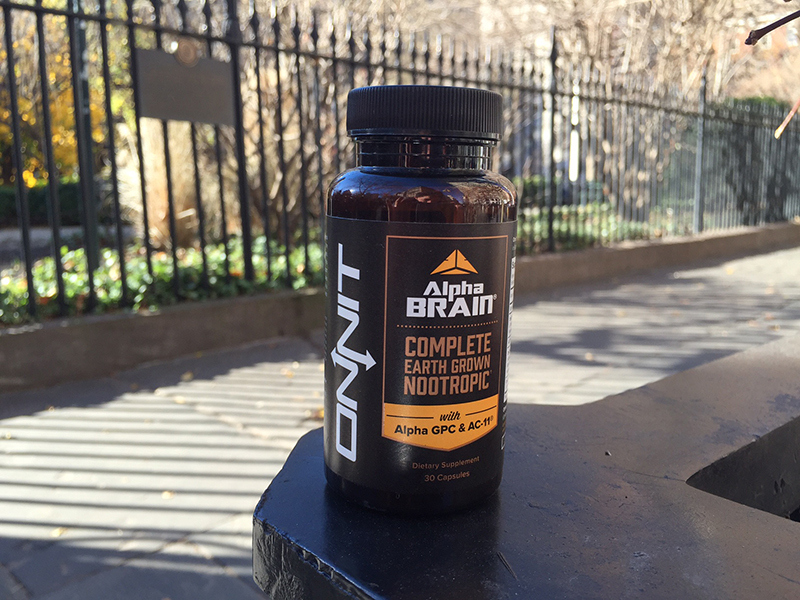 It’s a common ingredient in many nootropic stacks, and we’re not surprised Onnit has included it in Alpha Brain. Bacopa monnieri Extract — Bacopa Monnieri is an herb used in Ayurveda as an antidepressant, and a cognitive booster. While performing stressful cognitive tests, those taking Bacopa Monnieri experienced the herb’s nootropic effects, and reduced stress and cortisol levels. Huperzia Serrata Extract — This plant extract is an Acetylcholinesterase (AchE) inhibitor. AchE breaks down the Acetylcholine, and Huperzia Serrata restrains the process, allowing more Acetylcholine to be available for the brain. L-Leucine — Leucine is an essential branched chain amino acid responsible for protein synthesis and a number of other metabolic functions. Vinpocetine — Vinpocetine is a chemical derived from the periwinkle plant, and known to increase cerebral blood flow. Pterostilbene — An antioxidant found in blueberries and grapes, has known antioxidant, anti-inflammatory, and anticarcinogenic properties. Recently, studies have indicated a link between pterostilbene and improved brain health. In addition to the above ingredients, this supplement contains vegetarian Capsule (Cellulose, Water) and Bamboo Silica. Following the bottle’s directions, I took 2 capsules in the morning with my breakfast and my usual morning coffee. I felt focused and clear-headed, within 20 minutes of taking the pills, but there weren’t any jitters or anxiety. I also thought that these helped me recall information quicker, and the feeling lasted well into the afternoon, without a crash. I will definitely reach for these pills whenever I have a stressful work situation. As suggested in the bottle, I also took 1 capsule in the afternoon, 6 hours before bedtime, to induce what Onnit refers to as lucid dreaming. These dreams were as vivid and as wonky as the ones I had while taking Iron Dream, though maybe a little less farfetched. I experienced truly “lucid” dreams once while taking Alpha BRAIN for two weeks (I was aware I was dreaming, at least somewhat), but this seems to be an effect that varies pretty significantly from person to person. My friend, for example, has never experienced this effect when taking Alpha BRAIN. All the dreams I had when taking Alpha BRAIN seemed more vivid than normal, though. I still experienced restful and restorative sleep, and will use it again, but mostly for the mental boost I felt. 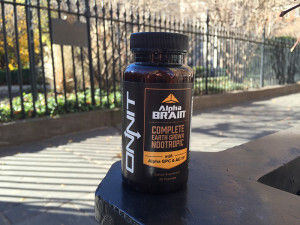 Final word on the Alpha BRAIN review is that it seems to me like a great nootropic and a fairly decent sleep supplement — I still prefer New Mood for rest and relaxation. Its effects diminish over time. Cycling it 3 days on, and 2 days off seems to be the best for sustained results. I really liked Alpha BRAIN both as a cognitive booster, and potentially as a lucid dream inducer when taken in the afternoon, though that effect seemed inconsistent. I will continue cycling it during stressful work weeks, and will again try taking an afternoon capsule here and there to experience the lucid dreaming again. But for sleep itself, New Mood is still tops as far as Onnit products in my book. Ready to purchase Alpha Brain?